In the extruder, the melt pump plays an indispensable role. It can be called the "friend" of extruders, not only can steadily transport melt materials, but also can provide more effective extrusion pressure than screw, and it can be used as a mixing device to improve the quality of melts. Why is the melt pump the "friend" of the extruder? 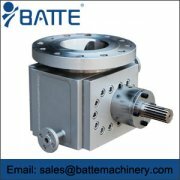 This is because, by precisely controlling the output of the melt, the melt pump can eliminate many variables that affect the output stability of the extruder. 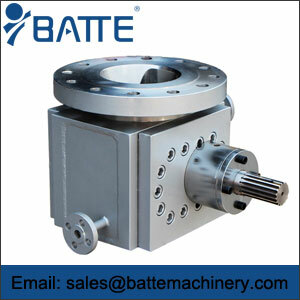 Melt pump can compensate for many unfavorable factors on the extrusion volume, such as bad temperature control, feed interruption, polymer mixture change (such as the change of regenerated material content), and the extrusion fluctuation caused by screw design department. 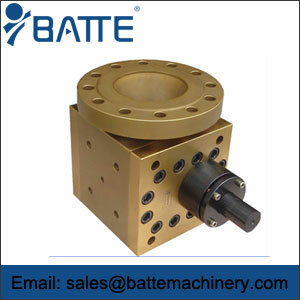 With the solution of these output stability problems, the operator can focus more attention on the head and downstream equipment. 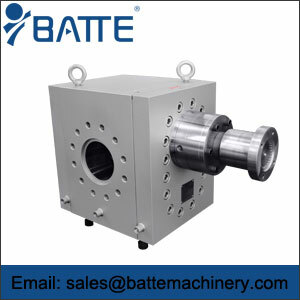 As the "friend" of the extruder, the melt pump can accurately control the production of the head. 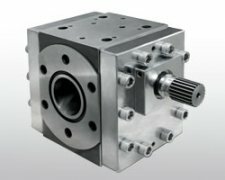 The melt pump is made up of two gears, usually driven by a single motor. The material transported by the extruding screw enters the suction port of the gear first, then the rotary gear is sent out from the other side. The principle is that the well-developed gear has a very fine profile. When the gear and the shell are closely integrated, the amount of material in each tooth is very precise. 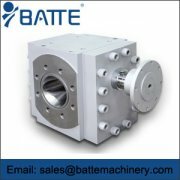 The gear can be accurately measured at the end of the material, and the gear speed is controlled by DC or AC motor, and the change rate is within 1%.